Welcome to Legal Weed Delivery in Placentia, California! If you’re not into brews or prefer THC over alcohol, you know who call for cannabis delivery: Bud Man OC. Our weed delivery drivers are on call 10am to 10pm every day of the year. Bud Man OC is a legal marijuana delivery dispensary in compliance with California law and Bureau of Cannabis Control regulations. Please have your valid ID ready. Our delivery drivers do not carry change. You’ll need exact cash to receive your cannabis delivery dispatch. 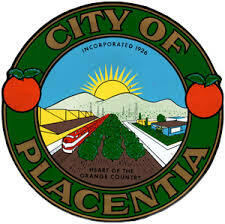 We deliver a wide variety of premium 420 products to Placentia and its surrounding cities. We carry top marijuana brands like KIVA, Eureka Vapor, and Punch Edibles. We also have a huge selection of California-grown cannabis flower from master weed farmers. Choose from the best sativa, indica, and hybrid strains anywhere on the planet. We deliver 7 days a week from 10am to 10pm to any location in Placentia and Orange County, including Anaheim, Huntington Beach, and Irvine. We’re open Thanksgiving, Christmas, and New Year’s.